Running has it’s benefits but no one really knows what they are. Until recently running has been commercialized by the sneaker industry as way to better health pending the fact that you wore their product. If you wore one companies product you would obtain more benefits but what; run faster, longer, better, stronger or with greater ease. You’ve been there, done that and are still looking for that glass slipper that will take you to running nirvana. You should really think about why and how you run because there are so many other supplemental exercises that should be done with or even before any beginner or pro tries to take on the task of running as their main focus upon exercise or weight loss. I feel like this is always a prerequisite when writing about such a controversial subject, but I will start by saying that running in and of itself is a great thing. It is a fantastic recreational activity and a good way to get some exercise. As a weight loss tool though, it is very inefficient. Let me premise this statement by saying that your body is an incredibly self-serving vehicle, whose goal is to sustain life. Therefore, it has no interest in burning additional calories since that would mean it must expend additional energy and then refuel to keep living. 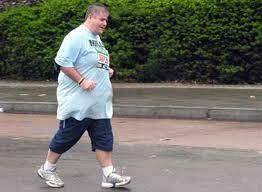 Now let’s look at the goal of running or any other type of cardiovascular endurance based method for weight loss. Whether you are pumping away on the elliptical or running outdoors, you are temporarily burning calories to create an energy deficit which in turn leads to weight loss. The problem with this equation is that your body becomes accustomed to this type of exercise fairly quickly (within 4-6 weeks) which means you will burn fewer calories with subsequent workouts. You may notice this when you are breathing less heavy or sweating less than before. Although two of those scenarios are viable options, they will inevitably become the limiting factor in your weight loss goals. Trust me, if you don’t first succumb to the hours of cardio or repetitive motion injuries, you will eventually become frustrated with your plateauing weight loss attempts and just give up all together. I don’t want this to be the cycle that most people are destined to repeat. Don’t let yourself fall victim to this type of weight loss futility. Begin with a few small changes to your program at a time. You can start by either adding in some interval sprint work, including at least 2 days per week of weight training, or opting for a strength and conditioning workout that both burns calories and boosts your metabolism. The choice is yours. I just hope you make the most of your already busy schedule. Next > Should You Bare Your Feet.